Emails have become an essential part of our lives these days. Forgetting an email password therefore, is an exceptionally frustrating experience for any email users. If you are using email on your iPhone and wonder how to recover email password after forgetting it, this is a must-read article for you. Before we learn about how to recover email password, let’s get an idea about the prerequisites for email password recovery. If the iCloud Keychain is turned on in your device, your chances of recovering the email password is very high. Let’s see how to turn it on. In general, you are asked to turn on the iCloud Keychain option when you set up your iOS device for the first time. If you didn’t do it, follow the steps below. Step 1. Open “Settings” app and select your Apple ID profile. Step 2. Go to iCloud to select the option Keychain and switch it on. If you have the question “how to recover my email password?”, this section of the article will help you out. We already know that your email passwords are saved in “Keychain” and it is all about on how to recover it. Step 1. 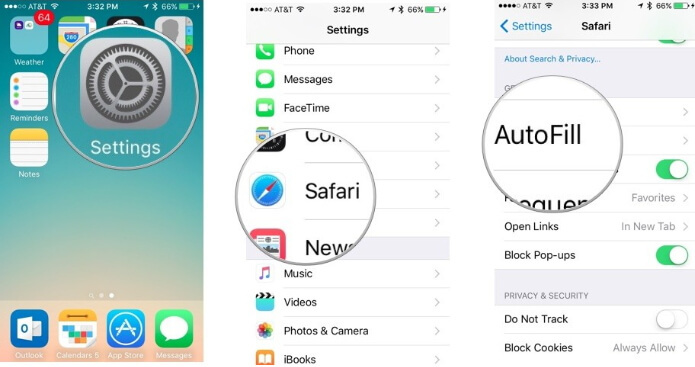 Open the “Settings” app on your iPhone. Step 2. Scroll the screen down and tap on the option “Passwords & Accounts”. Step 3. Go to Website & App Passwords. Step 4. Authenticate the process either through Face ID or Touch ID. Step 5. Once you have found a way in to the accounts and passwords, you can see a range of entries. If you tap on an entry, it will display details such as the username and password and the respective website. To copy username and password, you can tap and hold on them. If you have enabled iCloud Keychain as a Mac or an iOS user, finding accounts and related password that are used on the devices is easy. Here are the steps you can follow when it comes to a Mac (on OS X Mavericks 10.9 or later). Step 1. Go to Safari and select Preferences. Then, go to Passwords. Step 2. Select the website on which your password is used. Step 3. Select the option “Show Passwords”. Step 4. 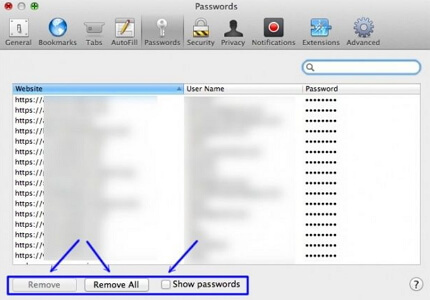 Enter the password of your Mac. If you have turned iCloud Keychain and used the passwords on an email website visited through Safari, here’s what you should do. Step 1. Go to “Safari” located under “Settings” app. Step 2. Go to “General” section and select “Autofill”. Step 3. Tap on the option “Saved Passwords”. Step 4. Tap on any website and enter the passcode of the device to see the passwords and accounts. As of now, you don’t get many software to recover email passwords, so you must not rely on random tools. However, you shouldn’t give up hopes as iMyFone is working hard on this which will be released soon. Step 1: Run this software on PC or Mac and then click Start button. Step 2: Then connect your device to computer successfully to start scanning. Step 3: after scanning, all saved passwords will be listed and you can export them now. 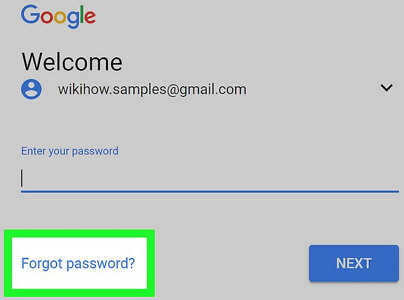 Here’s how to reset email passwords of the websites you usually work with. Step 1. Go to Forgot password option. Step 2. Type the full Gmail address and click on “Next”. Step 3. Answer the questions asked by Google. Step 4. Follow the change password link and reset the password. Step 1. Select the page “Reset your password”. Define why you need to reset the password and hit “Next”. Step 2. Enter the email address you intend to recover and type in the characters you will see on the screen and hit “Next”. Step 3. Enter the one-time password you get on the phone. Step 4. Change the password. Step 1. 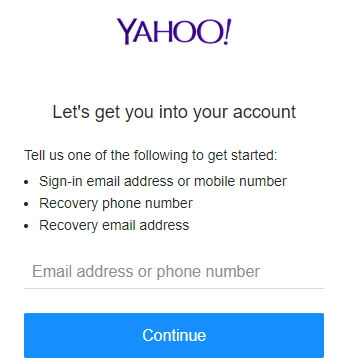 Go to the Sign-in Helper and type one of the account recovery items listed. Step 2. Click Continue and follow the instructions given on screen. Recovering a lost email password can be pretty straightforward task if the Keychain is activated. 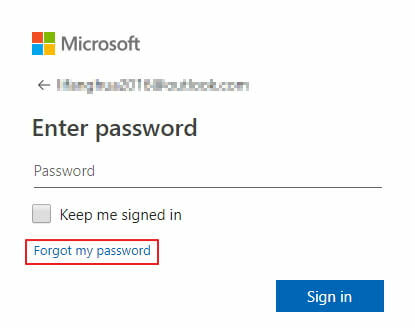 Otherwise, you need to reset a forgotten password through the official support services associated with respective email services. If you want to recover a lost email password, just wait patiently. Leave us a comment below if you need any other technical assistance.